Redesignated MSO-468 in February 1955, Rival was assigned as flagship, Mine Division 85 during shakedown. In March 1955 she began operations out of her homeport of Charleston, S.C. Based there since that time, she has operated primarily along the east coast, rotating biennially, except for 1962, to the 6th Fleet in the Mediterranean. She has participated in Fleet and NATO exercises and, in 1966, in the successful search (20 February to 8 April) for a nuclear bomb lost off Palomares, Spain. During her operations with the 2d Fleet, she has conducted exercises in the Charleston area and off Puerto Rico and has provided services at Yorktown, Va. and at Mayport and Panama City, Fla. 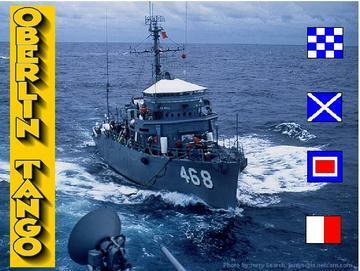 In 1961, she added Caribbean deployments to her schedule and continued them through the decade.